An upright pyramidal tree native to the eastern U.S. 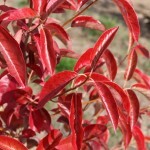 The glossy, deep green foliage turns to brilliant red, yellow and oranges in the fall. Good disease resistance. 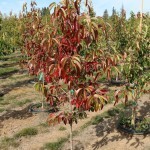 It grows best in full sun to part sun, and moist well-drained, acidic soils. Found by plantsman Mike Hayman.